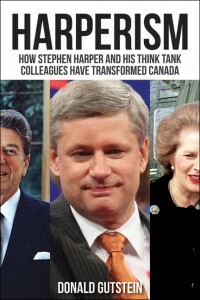 In December, 2010 Stephen Harper created the Red Tape Reduction Commission. A month later he and U.S. President Barack Obama signed a border security deal. Two initiatives in a new deregulation agenda. Canadian business—big and small—is on a deregulation tear and Harper seems more than willing to push the file on every possible front. If growth, competitiveness and innovation are code words for increased profits, then all federal regulations must be detrimental. The commission is also tasked to ensure the environment and the health and safety of Canadians are not compromised by deregulation. While the commission is stacked with members who have a vested interest in getting rid of “bothersome” regulation, no one has any expertise—or indeed any credibility—on health, safety or environmental matters. Treasury Board President Stockwell Day, who believes that Adam and Eve walked with dinosaurs so how can man make laws that go against God’s will? leads the initiative. Bob Moore, Minister of State for Small Business and Tourism, who has no experience with small business, chairs the commission, which includes four additional Conservative MPs from rural Canada and libertarian MP Maxime Bernier, who is probably the most outspoken enemy of regulation in Parliament. Also on the commission is the president of the Canadian Federation of Independent Business, who is perhaps the real chair of the commission. The private-sector members of the commission represent rail-line construction and maintenance, peat moss extraction, mechanical contracting and uniform manufacturing industries. Nary an environmentalist or health and safety expert in the lot, but many who would seem to benefit from deregulation. Take Commissioner Gord Peters, who owns Cando Contracting in Brandon, Manitoba. In 2010 his company built a rail yard on CN right-of-way just outside Edmonton to store 225 petroleum tank cars owned by Imperial Oil. Residents living nearby claim the yard was built without notifying them. No environmental impact assessment or socio-economic impact assessment were undertaken. Nor were there any opportunities for residents to comment on the project. According to federal government regulations, rail yards are not permitted within 300 metres of homes, yet this yard is just 68 and 163 metres from the closest residents. And two protected wildlife conservation areas are about 30 metres from the yard. Sounds like just the kind of guy Harper would like to put in charge of protecting the environment, health and safety. While Harper was busy setting up the Red Tape Reduction Commission, negotiations for the border agreement were kept secret from Canadians, except for those Canadians who were “supportive stakeholders,” like the Canadian Council of Chief Executives, Canadian Chamber of Commerce and Canadian Trucking Alliance. These Canadians were kept in the loop and all three organizations issued positive statements when the deal was finally made public. The deal is framed in terms of borders and perimeters, but deregulation is a key element. The agreement mandates the establishment of a new agency to be called the United States-Canada Regulatory Co-operation Council, to “streamline” regulations governing product safety and quality. Senior research fellow Colin Robertson is the institute’s public face for deregulation and deep integration. Look through his 37-page report, “Now for the Hard Part,” and you’ll find numerous references to the need to remove red tape, only Robertson uses more colourful language. He urges government to “take a blowtorch” to unnecessary regulatory differences. Robertson complains that these “outdated and downright silly differences” need to be vaporized. But a look at some recent deregulation issues shows that many regulations are neither outdated nor silly. Food Policy. The Canadian Agri-Food Policy Institute calls itself non-partisan, but is controlled by the agrifood industry. In a very recent report it claims Canada has lost its status as a food-producing superpower and needs a drastic overhaul of its agricultural policy. Key to this goal is an overhaul of the regulatory system. Regulation is stifling innovation, the report claims, and needs to be speeded up. But the risk associated with accelerated review is not considered. Genetically engineered foods. A private member’s bill, C-474, introduced by NDP MP Alex Atemanenko, would have required a new layer of scrutiny in the approval process for genetically modified seeds before they could be exported. The National Farmers Union and Canadian Organic Growers supported the bill, but the GMO seed industry—led by Monsanto and Syngenta Canada—pulled all the stops to oppose it. The industry’s lobbying arm, BIOTECanada, held 50 meetings with federal politicians and government officials. Exactly one week after the new border agreement was signed, Conservative and Liberal MPs joined forces to defeat the bill. It seems more than coincidental that so many deregulation initiatives and issues flooded into the public forum in such a short time. In fact, January 10-14 was Red Tape Awareness Week, a promotional stunt of the Canadian Federation of Independent Business. Harper co-operated by establishing the Red Tape Reduction Commission during this week. What other kind of lobby group could obtain that kind of attention?